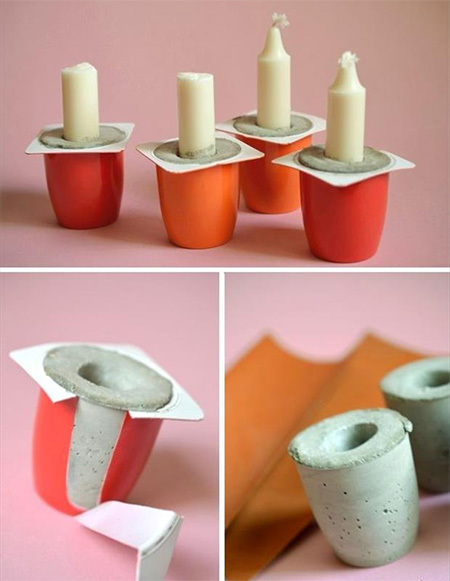 Grab a box of Polycell Rockset and some yoghurt cups and make these cement candle holders. This is a quick and easy project that's great if you need to dress up a table for a party of special occasion. 1. Mix up a batch of polycell rockset according to the instructions on the pack. Don't make it too runny - it should have the consistency of thick cream. 2. 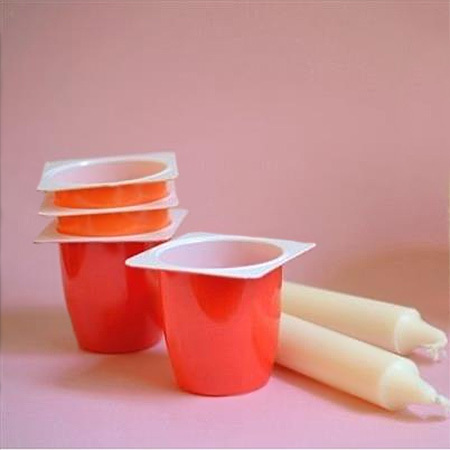 Apply vaseline liberally to the base of your candles or candle stubs and around the inside of the yoghurt containers..
3. Place the yoghurt cups on a thick layer of newspaper and slowly pour in the rockset mixture. 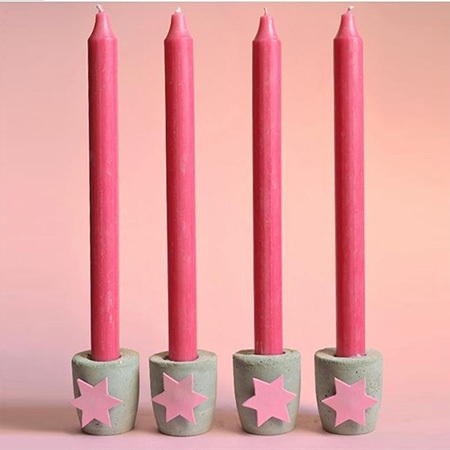 Fill about half way and then gently pop in a candle stub. Don't push all the way down - only about half way. The mixture may need to be topped up to be level with the top of the container, or you may need to wipe excess away. Ideally you want a nice neat top. 4. Leave to set for a couple of days and then remove the candle from the centre and break away the container. It's as easy as that !